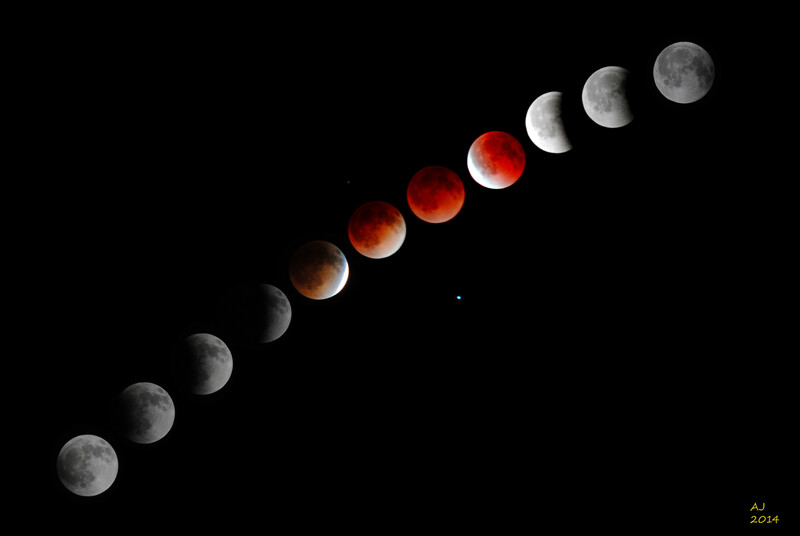 On April 15th ~12:20 AM there was a total lunar eclipse visible from the Americas. It was quite spectacular! Here are some photos I took of the eclipse. 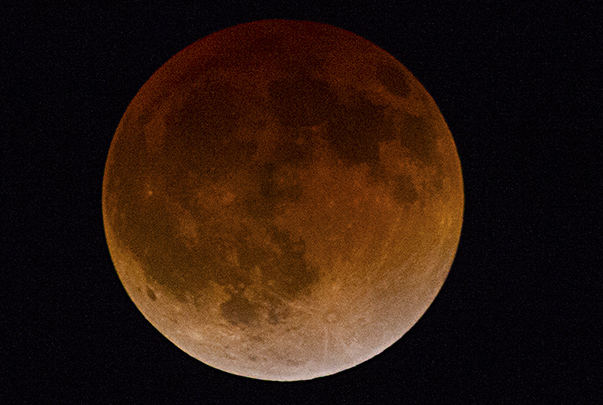 I used a 800mm lens + EOS 5D MKII. The settings for the one above were 0.8 sec @ISO-2500, f/11. It has been edited slightly for increased detail, you can click it to enlarge. Below are some unedited shots and a timelapse video. 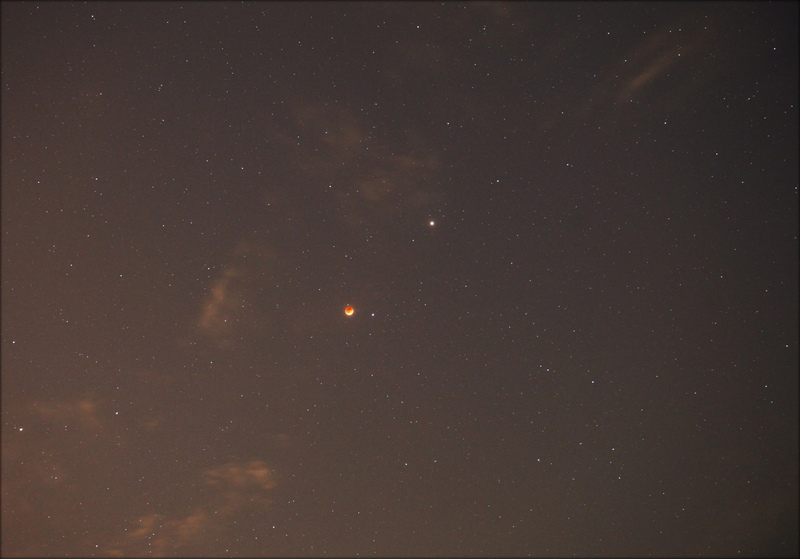 Here’s one taken with a 24mm lens. 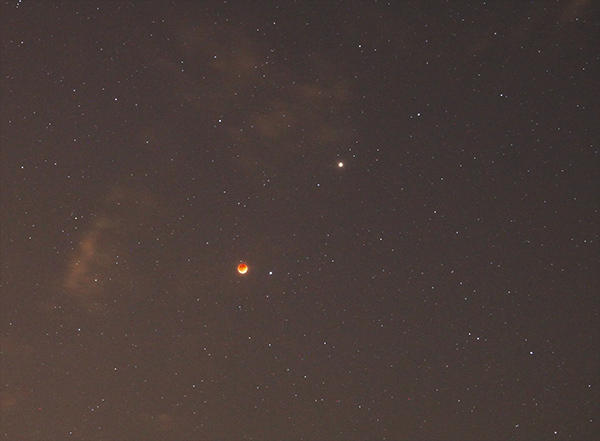 The red dot above the moon is the planet Mars! Click on it for high-res version. 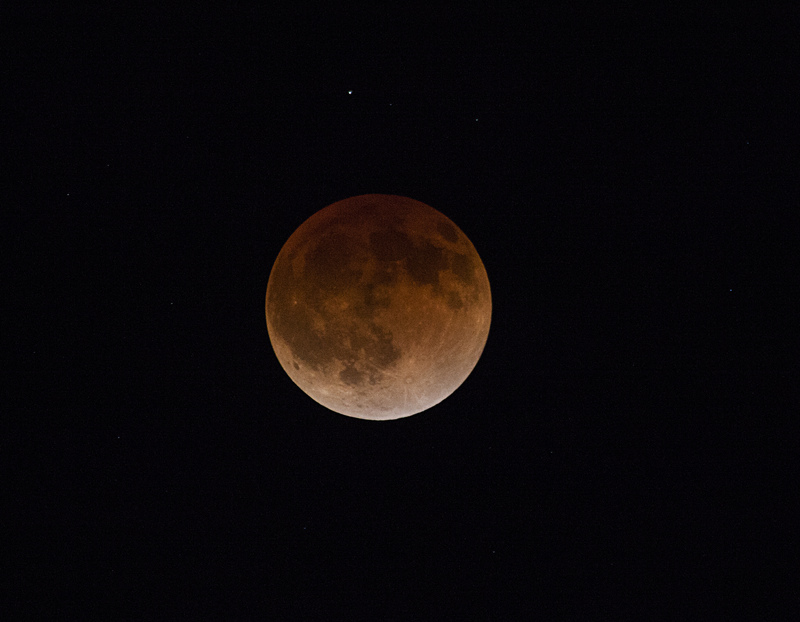 Time lapse of lunar eclipse on April 15, 2014 from Dean Rowe on Vimeo. Did you see the eclipse? Got any good photos? If so comment with a link to your photo and credits, if it’s good enough I’ll add it to the post!